OK - let's get started with the assumption that your customers plan in minutes. 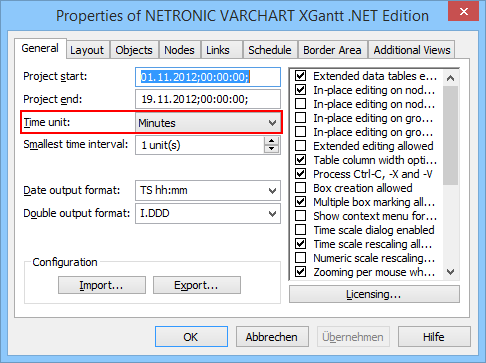 Hence, you will chose minutes as time unit on the VARCHART XGantt property pages. If your user now decreases or increases the length of a bar (representating e.g. a task or a job or an operation) in your application, the duration of this bar will be shown in the InfoWindow during the respective user interaction. In the above screenshot, the daily work time has been defined as 32,400 seconds, which means 9 hours. 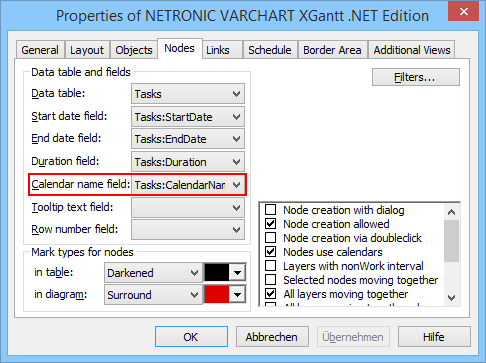 Here is how you can achieve this with our .NET Gantt chart control VARCHART XGantt. 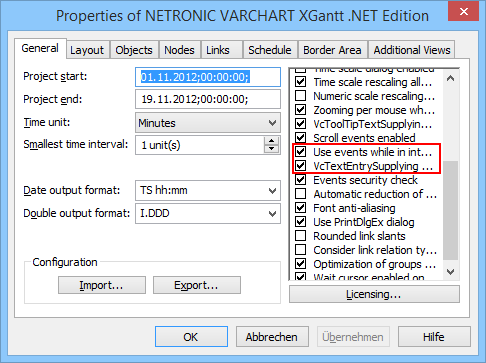 Step 1: Select the InInteraction Events and the VxTextEntrySupplying event. Step 2: Define a calendar name field for the nodes (bars). 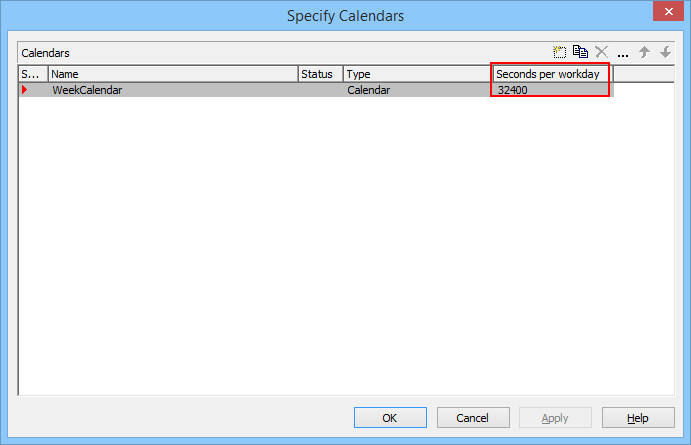 Step 3: Make sure that the daily work time for your calendars is set in seconds.